OK, I already know I can cook better than most restaurants in the county. At least for 90% of the food available. Today I easily made a feast. No real effort. Just good ingredients. Steamed lobster tails bought at Harris Teeter, and steamed here. 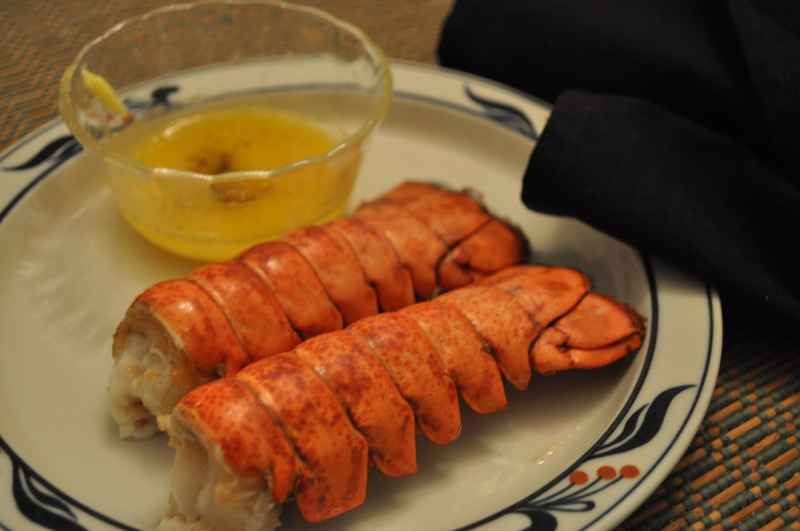 Served with honey mustard butter. Followed by sirloin tips from The Common Market in Frederick. 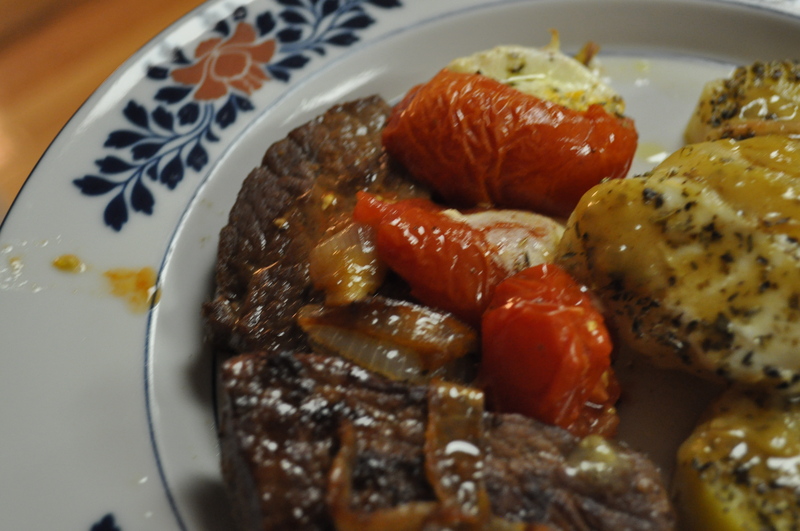 Sides of tomatoes and potatoes. Tomatoes from Costco. Stuffed with basil and mozzarella. Potatoes from the CSA parboiled, then finished in the oven with honey mustard, onions, and mozzarella. Served with a couple of lovely wines. 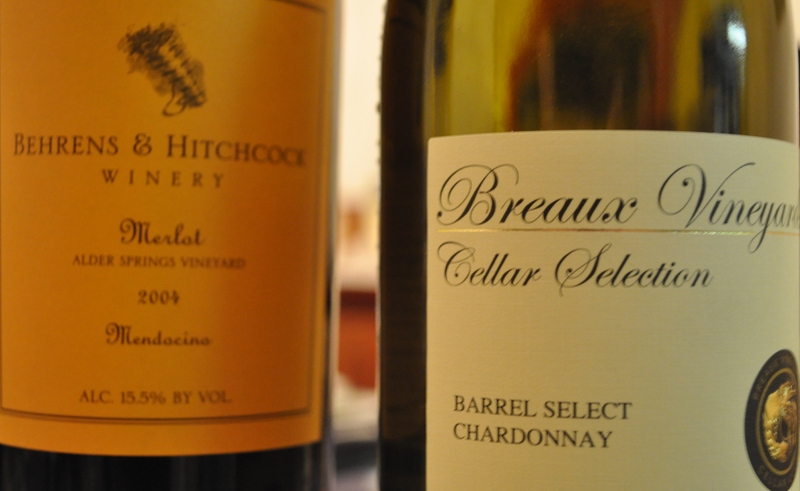 One, the barrel select Chardonnay from Breaux. The other, a nine year old Merlot from California. The rest of the white is in the fridge, waiting to be an aperitif tomorrow. The merlot. Later tonight will be dessert with some awesome dark chocolate bought at Roots. This dinner, decadent as it was, was a fraction of the cost of going out. It took minimal effort to make. Fitting it in while watching the Ravens self destruct. Seriously. Buy good ingredients. Make simple preparations. Serve with local wines. Posted in Food, Local Businesses, Uncategorized, Wine and tagged cooking, Food, foodie, real food, VA wine, wine. Bookmark the permalink.